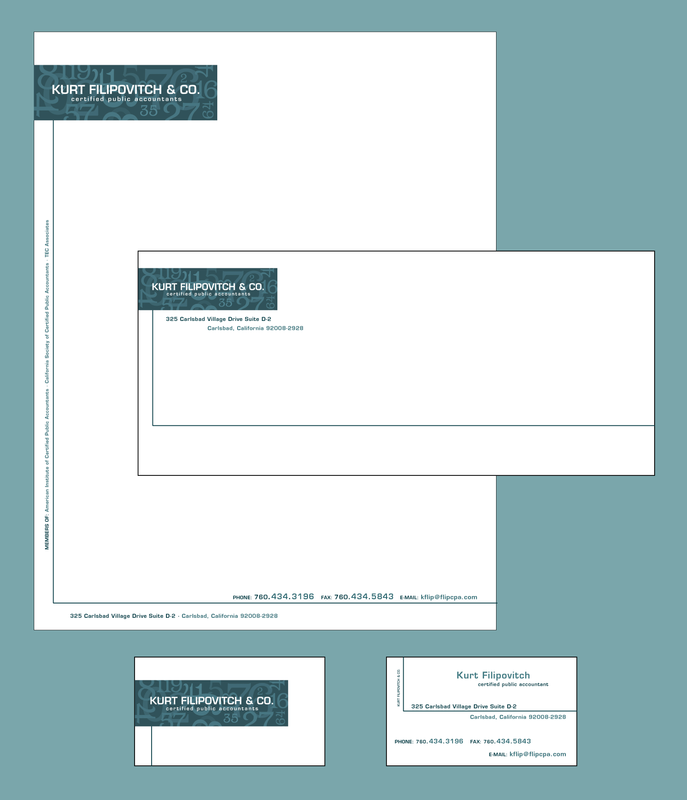 This stationery package was created for a certified public accountant. They didn't have a large budget so I used one PMS color and varied the percentages to make it more interesting. The numbers in his logo give it subtle interest without being too busy. Pro Prospects is a baseball camp for kids. I wanted it to have a colorful and playful layout that reflected the company. 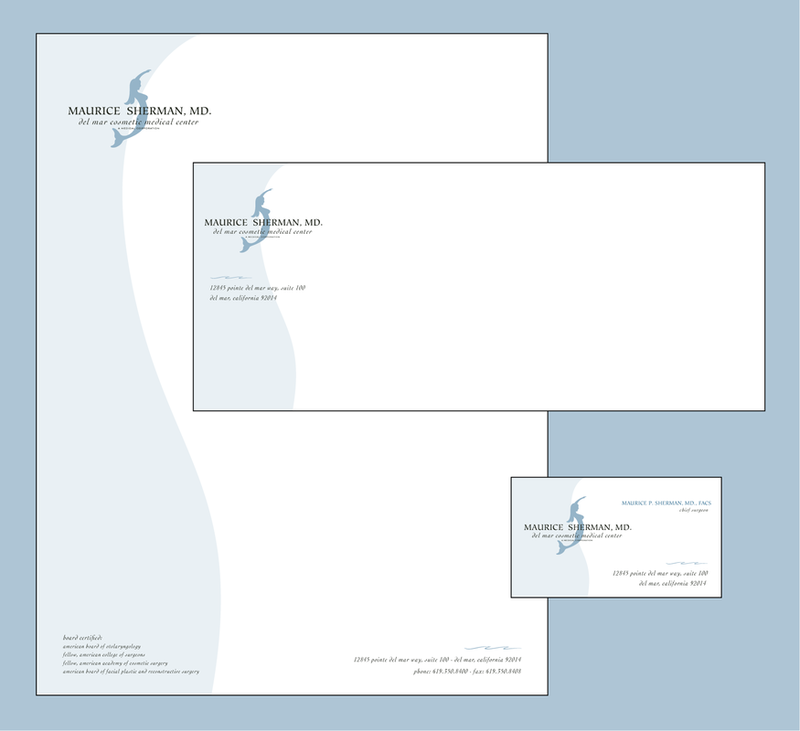 Dr. Sherman is a plastic surgeon with offices near the ocean in Del Mar, California. 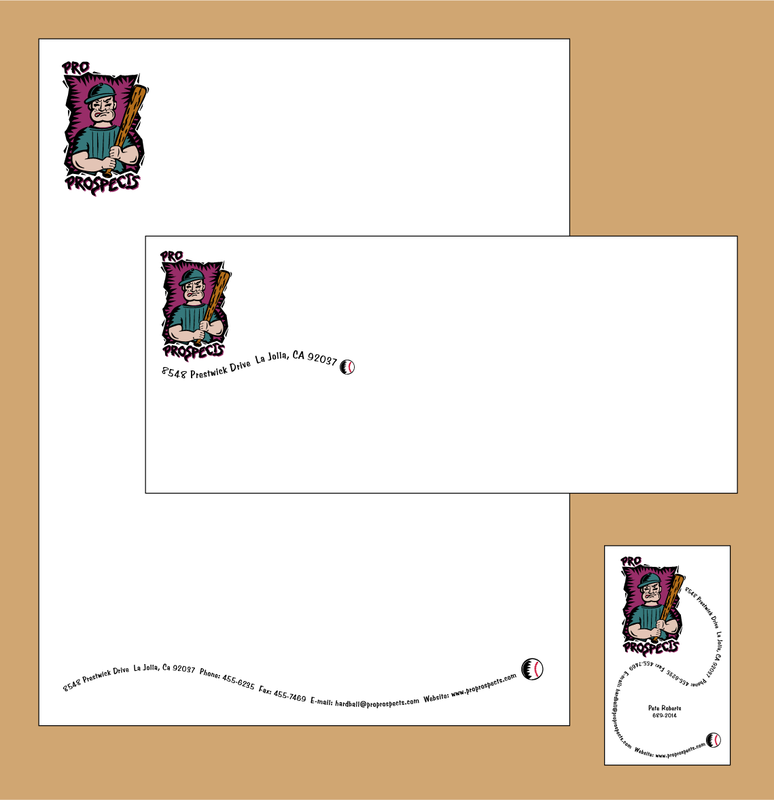 I wanted to tie in all those elements to his logo and stationery package. Most of his clients are women, so I made his logo into a mermaid which also is the shape of an "s" for his last name. I included the feel of a wave along the sides as well as a small wave along the bottom. Of course the light blue color ties in the ocean theme as well.